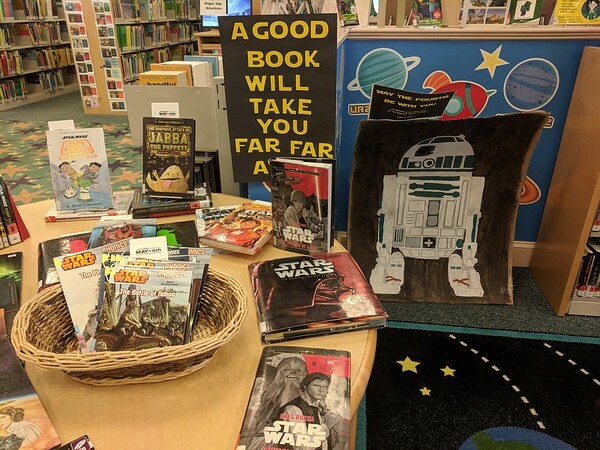 BRISTOL - “May the ‘Fourth’ Be With You,” a “Star Wars”-themed day of family fun, is set for Friday at the Bristol Public Library. The event will be held at the library, 5 High St., from 8:30 a.m. to 5 p.m. Children are encouraged to come dressed as their favorite characters. 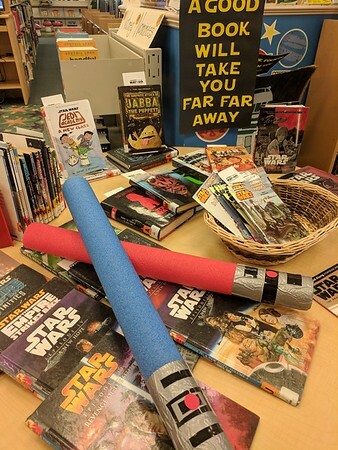 Children’s Librarian Christina Carpino, who says she is a “huge ‘Star Wars’ fan,” says she has expanded the library’s May 4 activities from past events. At 10 a.m. there will be a storytime and sing-along. Then, at 11:30 a.m., Carpino will lead children in “Jedi training,” which will include “Yoda yoga,” agility games and dueling with foam lightsabers. Then, at 4 p.m., there will be a science activity involving freeing Han Solo from carbonite, using baking soda and vinegar to melt a block of ice. Carpino said the “Star Wars” franchise has become “more popular than ever” in recent years.. When the day is over, the library will post photos of costumed children on its Facebook page. The child in the photo that receives the most “likes” between Friday evening and Monday evening will win a “Star Wars” prize bundle full of books and games. The winner will be announced by the library on Tuesday. For more information, call the library at 860-584-7787. Posted in The Bristol Press, Arts, Bristol on Wednesday, 2 May 2018 21:36. Updated: Wednesday, 2 May 2018 21:39.